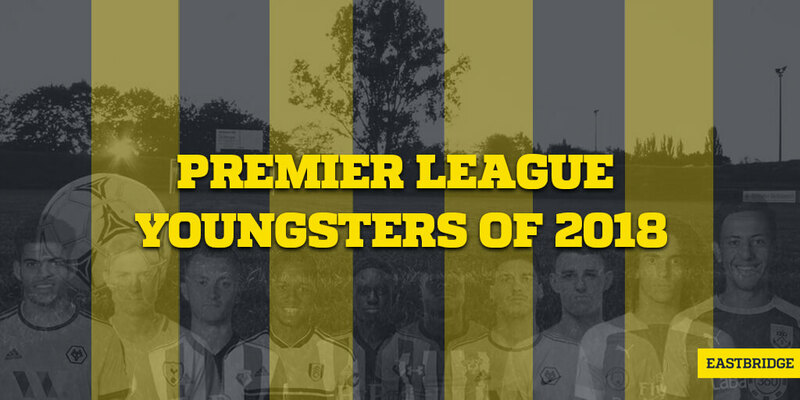 This year’s Premier League will not be complete without its young potentials. These youngsters are the color of the matches as they are the future of some of the oldest running football clubs and tradition in the world. 10. Rúben Vinagre became the youngest defender in the Wolverhampton Wanderers to have played this year. At the age of 19 years, 4 months, and 2 days old, he made an appearance in the Wolves’ match with Everton back in 11th August, which resulted in a 2-2 draw at Molineux. 9. Mattéo Guendouzi appeared in Arsenal’s match with Manchester City back in 12th August at the age of 19 years, 3 months, and 29 days old. Playing as central midfielder, the match however concluded in a 0-2 loss for the Gunners. 8. Domingos Quina is Watford’s youngest midfielder to have made an appearance this year at the age of 19 years and 16 days old. He appeared in the Hornets’ match with Man City earlier this month. The game, however, resulted in a 1-2 City win. 7. Ben Wilmot became Watford’s youngest player to have played in the field at the age of 18 years, 11 months, and 16 days old. He played as centre-back in the Hornets’ game with the Wolves back in 20th October, which ended in a 0-2 Watford win. 6. Dwight McNeil is Burnley’s youngest gun to have played this year. Appearing at the age of 18 years, 9 months, and 11 days old, he joined the Clarets in the field in their match against Manchester United. The game resulted in a 0-2 United win. McNeil also made his senior debut in Burnley’s with Aberdeen in their Europa League campaign. 5. Morgan Gibbs-White made an appearance in Wolverhampton’s 2-2 draw with Everton back in 11th August. He was only 18 years, 6 months, and 15 days old back then when he played as a central midfielder for the Wolves. 4. Michael Obafemi made his first appearance in the league back in 4th November in a Southampton 6-1 lost to Man City. The centre-forward played in that game at the age of 18 years, 3 months, and 29 days old. 3. Ryan Sessegnon started playing for Arsenal at the tender age of 17. At the age of 18 years, 2 months, and 24 days old, he became the third youngest appearance in the year, as well as the youngest Fulham athlete to have played. He made his appearance in a 0-2 Fulham lost to Crystal Palace back in 11th August. 2. Phil Foden is one of the most highly-regarded English prospects when he made a brilliant display in Man City’s Community Shield victory over Chelsea. He is also the second youngest player to have appeared this year, playing at the age of 18 years, 2 months, and 22 days old during City’s game with Huddersfield Town back in 19th August. The match resulted in a 6-1 City win against Town. 1. Oliver Skipp made his appearance back in 5th December at the age of 18 years, 2 months and 19 days old, playing as defensive midfielder for the Tottenham Hotspurs. The match concluded in a 3-1 Spurs win over the Saints. Skipp came as substitute to Kieran Trippier after an injury at the 87th minute. See the highlights of this year’s Premier League wave on Eastbridge betting brokerage service. Place your Premier League bets with us! Contact us on Skype to have your bets placed or check out our partner sports trading platform VOdds to get easy access to multiple Asian sportsbooks.